UPDATE: End of Nations Invite Only BETA Weekend - What Happened? There will always be competition to reach the position of king and PC components are no different. We all witness the dog fight for the title of most powerful in the graphics card department and Galaxy has picked its moment to fight for the title now with the new Galaxy GeForce GTX 780 Ti HOF+. This card is not going to blow you out of the water right out of the box with the meager factory overclock of 1085 MHz. This card will start to shine when you take advantage of the hybrid vapor chamber heat pipes, Hyper Boost hard, and IC power system capable of delivering 480 amps of current! Using the Galaxy Xtreme Tuner+, you could be the next person to break a world record for graphics performance. Or maybe you are like me and just want to ensure you favorite FPS doesn't slow down during that epic explosion. If that is your goal, overkill is just a word your jealous friends use too much. You can ignore them and pick this beast up direct from Galaxy with a price of $749.99. More details below. 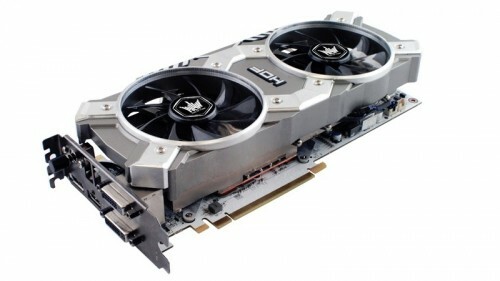 Galaxy Microsystems, a manufacturer of the world’s top performing graphics cards, today announced the much-anticipated arrival of the Galaxy GeForce GTX 780 Ti HOF+ in North America. Galaxy’s HOF+ edition takes the already groundbreaking performance of the GeForce GTX 780 Ti GPU to the ultimate extreme with Hyper Boost hardware overdrive technology, hybrid vapor chamber heat pipe cooling, and an advanced IC power system capable of delivering a staggering 480 amps of current to the GPU. Galaxy’s signature white HOF edition PCB is back and better than ever with an all-new refined layout and the addition of a HOF emblazoned metal backplate to even further improve the heat dissipation and rigidity of the card. The GPU comes factory overclocked to 1085 MHz boost clock, but true enthusiasts will seek to unleash the card’s full potential with Galaxy’s Xtreme Tuner Plus utility, which allows users to monitor performance and adjust settings such as boost clock, fan speeds, and core voltage. Memory overvoltage, a feature exclusive to HOF and SOC edition cards, is also supported. 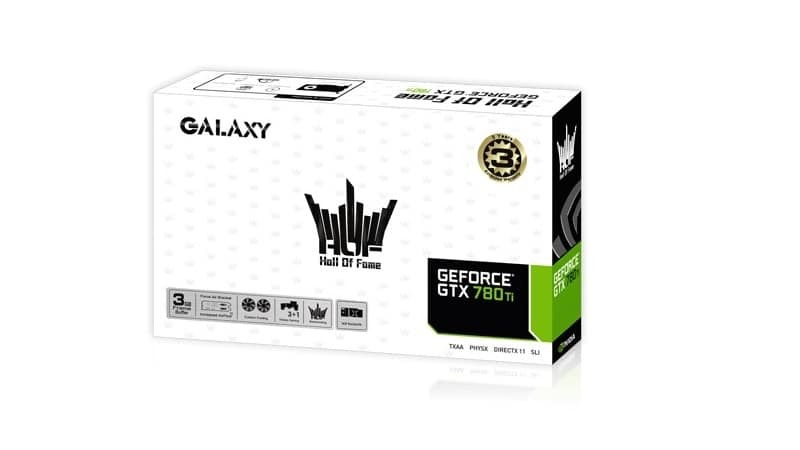 The Galaxy GTX 780 Ti HOF+ is available direct from Galaxy today at store.galaxytechus.com.